Pregnancy is an exciting time and it is easy to get caught up and overbuy on baby items you don’t need. It wasn’t long ago that I was pregnant walking around in stores like Babies R’Us (RIP) and BuyBuyBaby in awe and disbelief. The sheer number of available products for little people that only eat, sleep, cry, and poop for the first few months can be overwhelming. I mean there are walls and walls of products in those baby superstores and they aren’t cheap. If you are trying to add a new baby to your budget you may be panicking but I have some good news for you. There are lots of products you simply can do without. If you have a baby on the way then ask yourself if you really need these items. Wipe warmers are great in theory but few work great, some are fire hazards, and we didn’t want to get our baby used to a luxury that wasn’t possible for us to keep up with when we were out of the house or just not in the nursery. Instead, we use baby wipes at room temperature. They get the job done just fine. Tip: Once you know what wipes will work on your baby’s sensitive skin, buy them in bulk. Those baby comforter sets are adorable but many are pricey. When we were designing the nursery we had a theme and purchased the cutest bedding set. It was a complete waste of money because pediatricians and The American Academy of Pediatrics recommend that parents “Avoid use of soft bedding, including crib bumpers, blankets, pillows, and soft toys.” The crib or bassinet you use will likely only have tight fitting sheets. Instead, consider plain organic cotton sheets. If you are co-sleeping, many of the co-sleepers come lined with a soft fabric. We invested in a Dock-A-Tot. I had a healthy eight-pound baby and I am so glad I listened to my mom and all the experienced moms who told me not to buy tons of newborn diapers. Babies grow fast and we were finished with newborn diapers in less than a month. Having tons of diapers on hand is a great idea but it’s hard to know what size you will need. Instead, of purchasing lots of one size, we use Amazon Prime with free 2-day shipping when we need to restock. It’s fast and easy! You can give it a try today with a 30-Day Free Trial . I can’t recommend it enough! Tip: Sign up for freebies of different brands of diapers to find out which brand works best for you. OK. I understand the desire to purchase newborn shoes for a keepsake but honestly buying lots of shoes for a newborn is a waste. The baby will only be able to wear them for a week and even then, they are just for show because he/she will not be walking. Instead, we invested in packs of socks to keep our baby’s feet covered. Tip: Buy socks one size above what you think you need. Baby’s feet grow just as fast as everything else. Infant bathtubs are cute and some have nice features like thermometers. But you really don’t need a fancy bathtub for baby. You need something that holds a small amount of water and supports your baby’s weight. Instead of a pricey baby bath, we purchased a $10 IKEA bathtub. This was an easy save because in the beginning, we weren’t giving our baby full baths, we were giving her sponge baths. Then we started bathing 3-4 times a week with very little water in the tub. Now, she is a big girl and we give baths almost daily and because we purchased a full bath, to begin with, we didn’t need to spend any more money. Updated: My baby is a toddler now and we still use the IKEA bin for play. I love products with longevity. Tip: A baby bath sponge like the one below is great for added support in the bathtub. In the early months, I breastfed, then I added in a formula for supplementation. When my daughter was ready for solids, we started buying baby food from the store. I was not impressed with the taste (yes, I tasted every baby food product we purchased) and I decided to begin making my own baby food. It was super easy and I didn’t run out and buy a baby food processor. Instead, I use my old sturdy blender. It’s more than five years old, similar to this one. I already had in my kitchen and it works great for making every baby puree that I’ve had the nerve to try to make. Tip: Baby FoodE is a homemade baby food resource I love! We didn’t purchase any of the baby/nursery furniture sets (crib, dressers, changing table, etc.). Each piece in the room was either purchased on sale or DIY’ed. It was all coming together nicely and under budget but I couldn’t find a decent quality, inexpensive, changing table that fit the room well. In hindsight, I’m glad we didn’t settle on just any changing table. We skipped the purchase altogether. Instead, when we couldn’t find the right changing table at the right price, we purchased a changing pad with high edges that can be used anywhere. 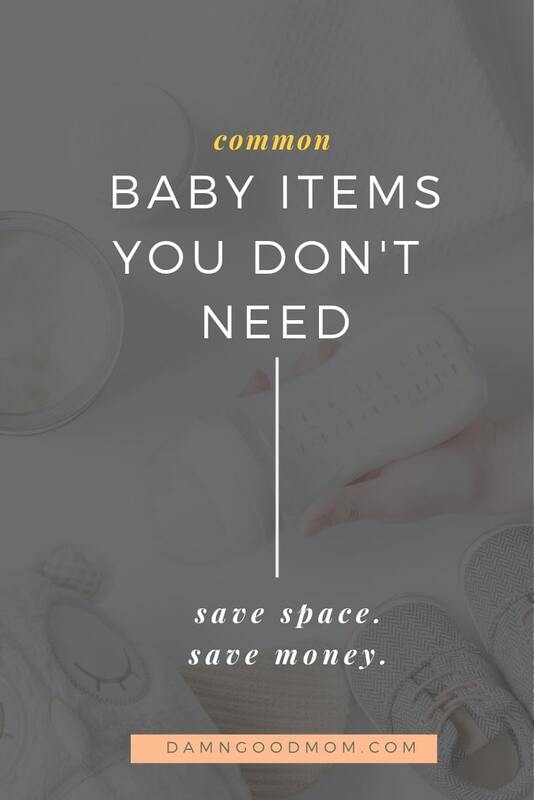 Having a bag to carry the baby’s stuff is necessary but it doesn’t have to be expensive and we didn’t need more than one. Initially, I was looking at fashion bags that were cute and pricey. Also, we both felt we needed a diaper bag, one that was masculine and one that was feminine. We were wrong. 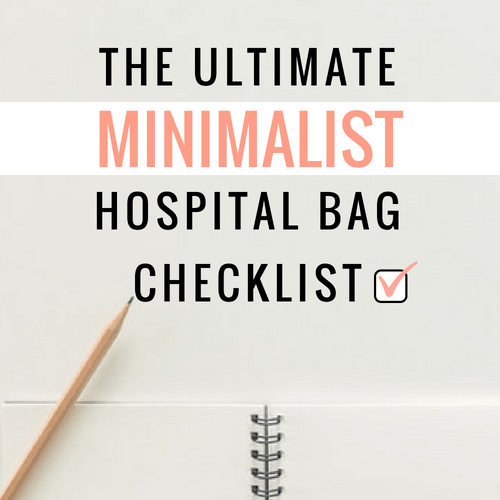 Instead, we ended up purchasing one neutral diaper bag that we keep stocked and ready to go. It was less than $100 and has tons of compartments and space for our growing baby. Not having two hasn’t been an issue at all. Our baby is only in one place at a time and the bag follows her. We purchased two travel systems and we definitely do not get good use out of both systems, our little girl is quickly growing out of the newborn car seat size that came with the travel systems. Instead, we could have saved money by purchasing one car seat and one stroller (a travel system) and then purchasing an additional car seat base, if needed. We were newbies, we didn’t know. UPDATE: I have two more items to add that you may not need. I was gifted baby lotion and baby body wash but my little one has sensitive skin and I’m on a personal journey to reduce my use of products with lots of ingredients with chemicals. Instead, 0f using lotions, we have been using oils. My favorites are coconut oil and almond oil. Both have provided the moisture that my little one needs and when I want something more moisturizing for extra dry skin, I add a layer of shea butter or Primally Pure Baby Balm. I have never purchased or used baby powder on my daughter. When I tell people this, the first question I get is “Well, what do you use?”. I don’t use anything. Although there are safe alternatives to baby powder, I haven’t needed any of them. Fortunately, I haven’t had any issues with rashes or infections. Starting with childbirth, the costs of having a baby adds up quickly. Learn exactly how much my birth cost. 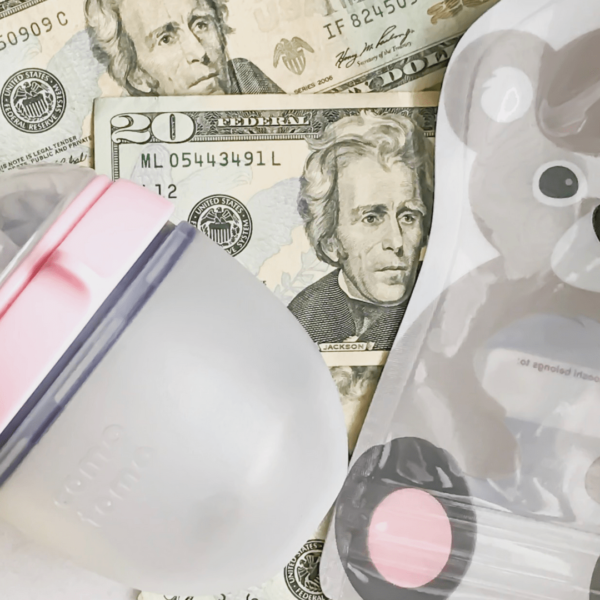 Taking the time to determine what baby products you don’t need can help you save money. Of course, there will be non-essential items you buy to give you peace and sleep. For example, we were gifted a baby swing that was magical. We also splurged on the Babybrezza Formula Pro (definitely not in the need category but we loved it) and we used it daily for months! As a new mom, I’m working hard to be intentional about recognizing the needs and the wants. It isn’t always easy but I have a limited budget that makes it necessary. 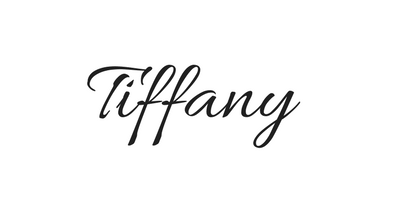 If you are building a registry, these are items to consider adding to your registry. There is a marketing machine out to make you think you need every baby product, to have a happy baby. It’s not true. I’ve learned that much of what our babies need (love, care, attention, bonding time, food), we already have. CHEERS TO MOMS SAVINGS MONEY! If you are pregnant, CONGRATS!! I wish you love, health, and light on your journey. I’d also like to share a FREE New Baby Checklist printable with you. You don’t need to provide your email, just click below to download. Follow along on Pinterest for more pregnancy and mom life content.